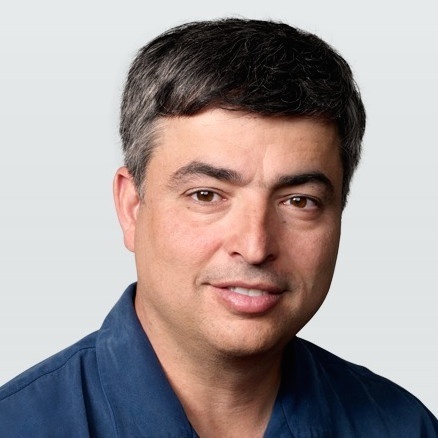 Apple senior vice president of Internet Software and Services Eddy Cue spoke out against the FBI's court order requiring the company to strip away security features in the iPhone operating system. Should the courts uphold the order, he said, we could be heading down a path to police state-style surveillance where the government monitors us through our smartphone cameras and microphones. When they can get us to create a new system to do new things, where will it stop? For example, one day [the FBI] may want us to open your phone's camera, microphone. Those are things we can't do now. But if they can force us to do that, I think that's very bad. The FBI obtained a Federal court order forcing Apple to cerate a new iOS version that removes the safeguards protecting passcodes from brute force attacks so agents can look at the encrypted contents of an iPhone recovered from one of the shooters in last December's San Bernardino terrorist incident. Apple helped the FBI recover what data it could, but isn't willing to compromise iPhone security by creating the what it sees as dangerous code. The order says Apple must craft a new version of iOS that doesn't include the ten try limit for passcode entry attempts, removes the data self destruct feature and forced time gaps between passcode attempts, and adds a way to automate passcode entry. Apple argues the order sets a dangerous precedent, is an overreach of government authority, and that the software would eventually end up in the hands of criminals, hackers, and foreign governments. Mr. Cue went on to say that the NSA is pushing for stronger encryption even as the FBI is trying to force Apple to create a less secure iOS version. "[Secretary of Defense Ashton Carter] knows that if we create some way to get in, criminals and terrorists will get in. They don't want that," he said. Mr. Cue's Univision interview comes a few days after senior vice president of Software Engineering Craig Federighi penned an op-ed for the Washington Post saying the FBI is "pressing us to turn back the clock to a less-secure time and less-secure technologies." Apple filed a motion to vacate along with a formal objection to the court order, and will appear in court on March 22 for a hearing on the matter. Several companies and organizations have filed amicus curiae briefs on Apple's behalf, arguing that forcing Apple to create what amounts to a back door into iOS sets a precedent where others could be forced to do the same with their products.